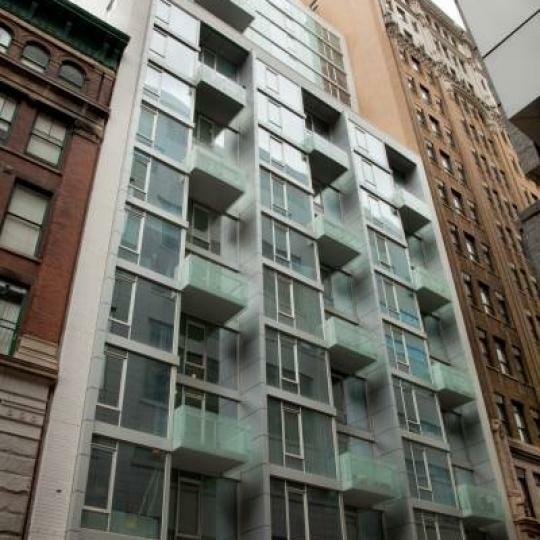 I would like information on apartments in 50 Franklin Street. Please contact me ASAP. 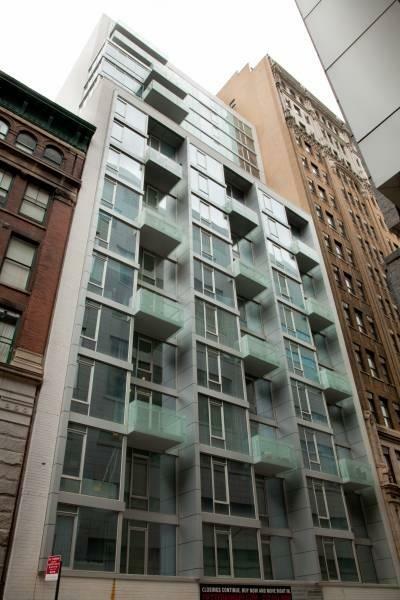 Fifty Franklin, Tribeca's new condominium building designed by renowned architect Ed Rawlings, embodies the ultimate in clean, urbane New York City with elements that refine minimalism. Inside, thoughtful design and utilization of space allow for great comfort and luxurious living at its most attainable. 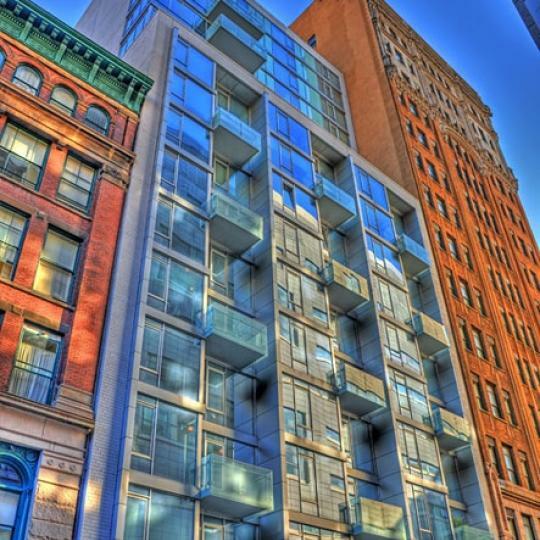 An oasis in the midst of the bustling activity of Soho, Chinatown and the Financial District, Fifty Franklin reflects the rich artistic signature of Tribeca. The lobby is a study in luminosity with a dazzling showcase of glass and light. The rustic exterior of blue stone folds inside to frame the seating area and bring a natural balance and weight to the composition. Large back lit art walls define the space with prisms of light. Clear finished oak plank flooring and floor-to-ceiling glass with over-sized tilt/turn windows are found in all condos. Apartments with private balconies and terraces feature over-sized Arcadia sliding doors. 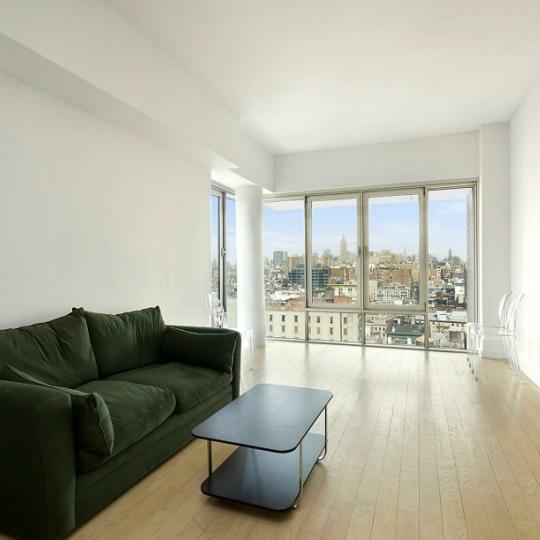 Fifty Franklin is infused with natural light, the freedom of spaciousness, and expansive views of Manhattan. All apartments for sale have individual controlled Central Air, and come complete with a Bosch washer/dryer. Islands or peninsulas make these kitchens ideal for entertaining. Integrated panel appliances throughout in white opaque catalyzed lacquer give a clean, finished look. Bosch cooktop, oven, and microwave and recessed kitchen track lighting are featured. Under counter SubZero wine coolers are included in all 2 & 3 bedroom apartments. 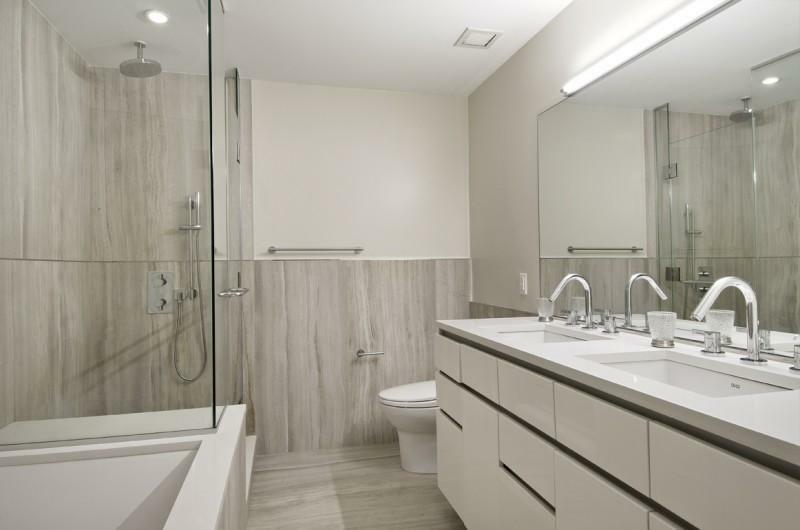 Sleek, spa-like master baths house generous soaking tubs with Caesar stone surround. 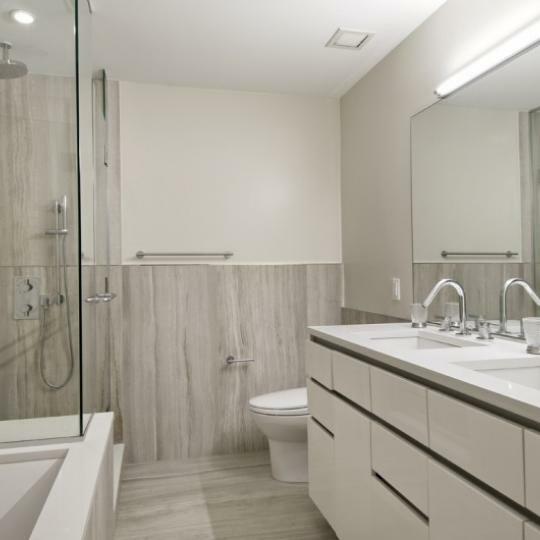 Upper floors showcase travertine marble; lower floors feature porcelain tile. 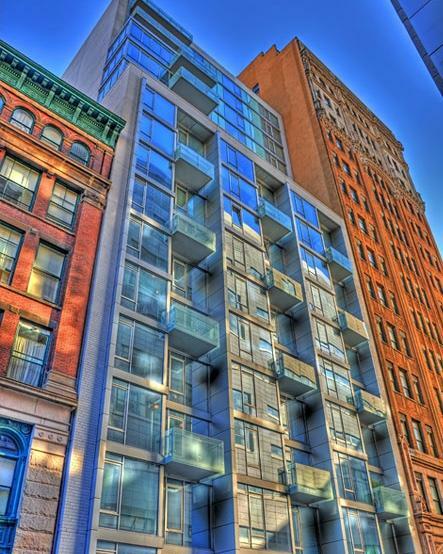 If Tribeca is to be called home, this condominium building is truly a must see. Interested in staying informed the 50 Franklin Street and other luxury condo buildings throughout Manhattan - you have come to the right place. 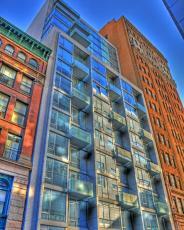 50 Franklin is labeled as a 'steal' in a recent Curbed profile comparing similar Tribeca luxury condos. With a unique marketing campaign aimed at potential buyers, 50 Franklin has began offering free furnishings by BoConcept. The mesh covering has come off of 50 Franklin, revealing a glassy facade. Construction has started at 50 Franklin to remarkably little fanfare given the prime location. We'll keep you updated as things evolve and construction continues.